Australia is among the world's top destinations for international students, with around 1 in 5 undergraduate students enrolling in Australian universities now being international. China is by far Australia's largest source of international students, and over half of these students are women. Mobile Study / Mobile Selves is a 5-year study being conducted by Assoc. Professor Fran Martin as a Future Fellowship project funded by the ARC (FT 140100222, 2015 - 2020). Assoc. Professor Martin is conducting in-depth ethnographic research with a group of 50 female students from China who are studying at universities in Melbourne. 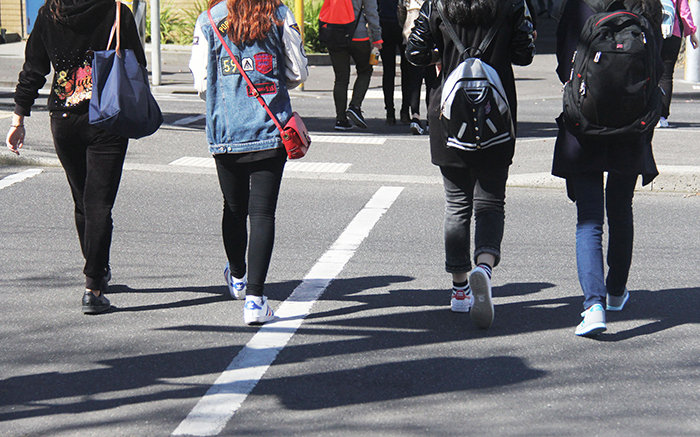 From before their departure from China through to their graduate destinations, the study is building a picture of how these young women's time in Australia affects both their gendered and their national-cultural identity. Who are these women when they arrive in Australia - and who do they become? This project seeks to test the hypothesis that young Chinese women's experiences while studying abroad significantly affect their negotiation of the tensions between familial versus individual and national versus transnational identity: two sets of contradictions that centrally define the current generation of Chinese urban women's sense of identity. Audrey Yue, Johanna Wyn, Gavan McCarthy, Carmel Guerra, Hakan Akyol. Nadine Liddy, Gail Kerr, Alexandra Long. In collaboration with nine Australian organisations, this project aims to improve the social cohesion of Australian society and the living standards of a significant group of our young people by: critically defining the status of culturally and linguistically diverse (CALD) youth; developing its first national status reporting framework that will generate new social, economic and cultural indicators, and; building a knowledge hub to store and curate CALD youth data. The project will produce the prototype of an annual report on the status of CALD youth in Australia. Nikos Paspastergiadis, Audrey Yue, Ramaswami Harindranath, Ghassan Hage, Frank Panucci, Judy Morton, Paul Leonard, Catherine Rinaudo. This project focuses on the role played by arts in fostering cultural citizenship and seeks to develop both a new cultural indicator framework for measuring the impact of the arts on CALD communities, and a critical theoretical perspective for the status of multiculturalism in contemporary society. The five-year project has been developed in partnership with four peak arts, multicultural and local government institutions and researched. The cultural indicator framework identifies 7 key domains of cultural participation, 4 capacities and 5 forms of belonging that will reshape how policymakers, cultural workers and arts advocates evaluate culture. The project has also conducted research with multicultural artists, unveiling diverse pathways of artistic, cultural and economic success. Interviews with diverse contemporary Australian poets, engaging with formal, identity, and geographical issues. Audrey Yue, John Nguyet Erni. This study explores the popular arts participation of ethnic minority young people in Hong Kong as a means for developing their cultural identity and social capital, through methodologies of qualitative cultural indicators and critical cultural mapping. Audrey Yue, Fran Martin, Koichi Iwabuchi, Olivia Khoo. The rise of East Asian media industries, estimated to be worth US$120 billion and reaching at least 2 billion consumers, is changing Australian media culture. While East Asian media reach in to Australian audiences via new media, Australian media industries are reaching out to Asia via transnational co-productions. This project examines these trends in media consumption and production to analyse impacts on the cultural identities of Australian audiences and media products. Through the innovative framework of minor transnationalism, it will evaluate Australia's involvement in East Asian media circuits and produce a deeper understanding of the nation's relationship with its region. Audrey Yue, Dr Gilbert Caluya, Soo-Lin Quek, Edmee Kenny. This project will survey Australian culturally and linguistically diverse (CALD) youth's (16-26yo) engagement with digital technologies and its relation to civic practices of resilience and their parents' digital literacy.